Offering bottles and closures, pharmaceutical bottles, plastic pharmaceutical bottles, cough syrup bottles, antibiotic bottles and vitamins bottles. -Low profile for stacking of containers. -Tripple seal for temper evidence. We are also supplying anti gurgling spout caps (63mm ) for better & smooth flow through venting. Our range of CSD plastic closures are having slitted drop band and are linerless with excellent CO2 retention. These are made using high grades of plastics. A plastic closures is a common type closure for bottles, jars, and tubes. It use as an alternative wine closure is gaining increasing support as an alternative to cork for sealing wine bottles. A plastic cap is a plastic cap that screws onto threads on the neck of a bottle. Offering different shape and size of pharmaceutical bottles. Our Dropper Bottles are suitable for ear and eye drop and other application in pharmaceutical industry like tablet or syrups etc. 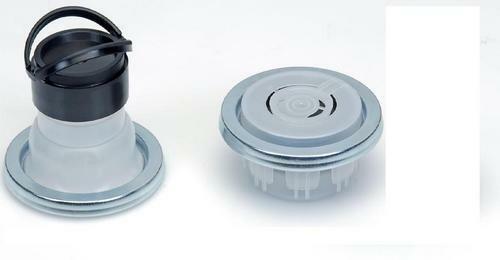 Our Pilfer Proof caps are suitable for ear and eye dropper bottles. They are made of high grade virgin plastics and are tested for leakage and other parameters.